The resources on this page are organized by Medical Assistants training modules (PDFs, slidecasts), presentations (archived videos, slidecasts, and PowerPoints), resource documents (reports, issue briefs, fact sheets, websites), and tools and templates (spreadsheets, Word documents, toolkits, job descriptions). If you don't find what you are looking for you can search by keyword using the search field at the top of this page. This module discusses basic anatomy/physiology of asthma, asthma attacks, triggers, medications, patient education, inhaler use, and other common asthma diagnostic tests and tools. This training module focuses on the basics of Type 2 diabetes. Learners are given information on risk factors, prediabetes, effects of uncontrolled blood sugar, treatment modalities and patient education essentials. This module gives a basic overview of hypertension and its effects on the body. Participants will come away with an increased understanding of risk factors, how to take accurate blood pressure readings, basic treatment modalities, and patient education essentials. This is a presentation of an “extended care team model” (ECTM) on the Park Practice at Family Health Center, Inc. in Kalamazoo. The ECTM included a Care Manager, Triage Nurse, and Referral specialist being added to the already existing team of, one DO, two NPs, one PA, four medical assistants, and two team assistants. This project utilized daily team huddles and PDSA cycles to improve interdisciplinary collaboration. The expanded care team model demonstrated improved quality measures in comparison to the organization as a whole. The ECTM is now being extended across the organization as a whole with some slight changes. Presenters: Dennis Means, MD, MMM, Chief Medical Officer and Corrine Bradley, Clinical Director, Family Health Center, Kalamazoo. 2015 | PDF | Source: Accreditation Association for Ambulatory Health Care, Inc.
A presentation on AAAHC standards, survey process and review of quality studies. Community Health Centers have always hired veterans, but now we're working even harder to recruit more. A joint initiative launched by the White House, the Department of Health and Human Services, the Health Resources and Services Administration (HRSA), and NACHC aims to accomplish just that. The goal is to boost the number of veterans employed at health centers, starting with an average of one veteran per grantee site or around 8,000 veterans. A brief resource plan for the community provider to complete with a client to assess potential needs and match resources. Contact information on many of the services listed is included. Offers evidence-based, expert-endorsed recommendations for planning and implementing strategies in Health Centers to improve cancer screening rates. Learned what veterans in Michigan may be eligible for and how to connect veterans to those benefits. Discussion also focused on presumptive conditions and how they may effect a veteran’s quality of life. Presented at the 2014 Annual Conference. Well over half of Michigan’s Health Center organizations have completed their first operational assessment, the HRSA site visit designed to evaluate compliance with all 19 Health Center program requirements. So far, the process has illustrated both strengths and weaknesses in Michigan’s Health Center community, including some featured innovative practices and common areas of struggle. MPCA staff and Michigan Health Center peers met for a session focused on sharing observations and lessons learned through facilitated dialogue on operational assessment experiences to date. With the passage of the ACA, $11 billion will be invested in the Health Center program from 2010 through 2015. These funds, along with the implementation of health care reform, will have an impact on Health Centers at the site operational level and more broadly. Associated with the infusion of funds will come expectations for increased access, improved outcomes, and cost savings; a return on investment. What Health Centers do to successfully transition into a more value-based health system was discussed. Pursuing the Integration of Public Health, Mental Health, and Community Based Primary Care: Opportunity or Obligation? This session helped identify opportunities for primary care and public health integration; describe behavioral health intersections with primary care and public health; apply health equity principals to integration goals; and identify examples of effective integration through a health equity lens. In the health care transformation landscape that emphasizes quality and coordination of care, promoting patient engagement, reducing costs, and improving health outcomes, the role of Community Health Workers (CHWs) as key components of effective primary and preventive care has never been stronger. Across the country, CHWs are serving as health and human service liaisons within their own communities. As members of minority and underserved populations, CHWs integrate information about health and the health care system into their community’s culture, language, and value system, thus reducing many barriers to accessing care. They draw upon personal experiences and specialized training to serve their peers and improve the health and well-being of their communities. Since its inception in 1983, MHP Salud has worked to establish and develop CHW programs to improve the health status of special and vulnerable populations and to increase their access to care. This session provided an overview on the basics of the CHW model, current initiatives in the field, and benefits and results of CHWs in health interventions. This session discussed the business case for integrating behavioral health screening tools into the primary care practice, the minimum behavioral health screening tools available, and how to implement these tools within the primary care practice. Participants will understand how to help improve the health outcome of patients by effectively coordinating care for those with mild to moderate behavioral health or substance use disorders with the community mental health service provider. Participants also learned how the MI Health Link program is integrating behavioral health screening tools and care coordination for individuals eligible for both Medicare and Medicaid. During this session medical providers, oral health providers, behavioral health, and human service professionals learned about the devastating effects of tobacco on people with mental illness, and the best way to approach people with tobacco addiction using an evidence-based national model known as the 5As. They learned about the modifications needed to make the 5As approach more successful for those with mental illness. This session also assist providers in helping tobacco users understand the benefits of quitting, find out if they are ready to take steps to quit, and to know what resources and strategies are recommended. This presentation outlined a cross disciplinary project in which a public health nurse experienced in case management is tasked with improving health care coordination among mental health and primary care providers in St. Clair County. This project not only crosses disciplines but also agencies, each with different employee and patient cultures; St. Clair County Health Department and St. Clair County Community Mental Health. Primary project objectives included relationship building, improving communication, developing methods to improve service delivery outcomes,identifying individuals who would benefit from being managed by a primary care provider. 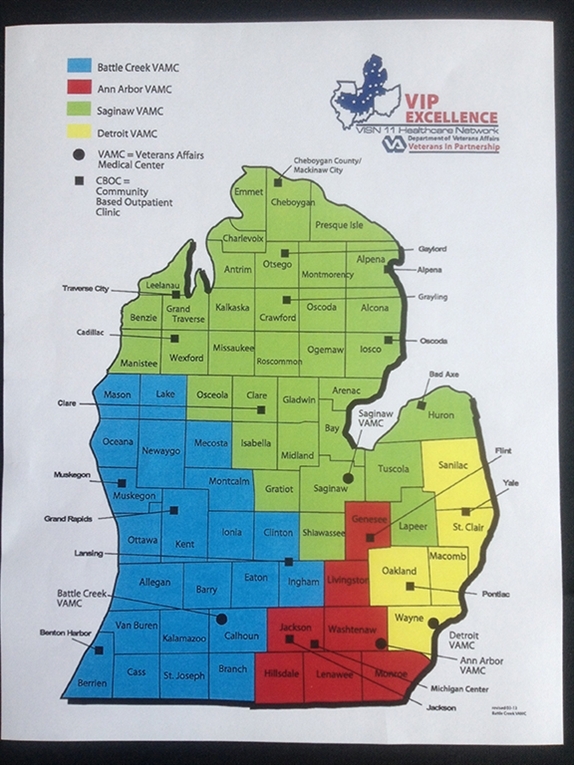 In 2013, the Michigan Department of Community Health received a Partnerships for Success II (PFS II) grant to build capacity in 10 high-need communities to address underage drinking and prescription drug misuse/abuse among 12-25 year olds, by implementing comprehensive and data-driven substance abuse prevention strategies. Target communities implemented evidence-based programs to strengthen collaborative partnerships with Federally Qualified Health Centers, local public health departments, Indian Health Services, and community college and university health and/or counseling centers. This session provided an overview of the project implementation statewide, including specific tangible examples of how Luce County successfully implemented the project in its rural and limited-resource community. The evidence is convincing that the health of childbearing women has an impact on the health and survival of their future newborn children. Yet, too many childbearing women in Michigan do not understand that oral health care is an important component of a healthy pregnancy, and often times pregnant women, some with obvious signs of oral disease, do not seek or receive oral health care. This session provided an overview of the Michigan Department of Community Health’s Perinatal Oral Health Initiative, Michigan data, and current programmatic activities. It also has a comprehensive clinical overview of maternal oral health issues and learn about guidance and resources available for prenatal and oral health professionals. Given CMS mandates about reimbursement for substance use disorder (SUD) services and certification of staff, there appears to be significant confusion and misunderstanding for FQHCs. In particular, determining what constitutes SBIRT and SUD services can benefit Health Centers. This presentation examined the differences, explain where SBIRT stops and SUD services begin, and who will need certification. The overall vision of integrated dental medicine is based on oral health as an integral aspect to total body wellness (systemic care). Poor oral health can lead to many systemic issues and adverse events as well as poor systemic health leading to adverse oral conditions. Therefore, it is imperative that providers, across all disciplines, with these patient commonalities work together in order to produce positive patient outcomes. This session reviewed and evaluated the various aspects to this care delivery model as well as provide analysis of currently operating integrated dental medicine clinics. The session also reviewed updates on methodology and outcomes assessment with dental care used for systemic medical treatment. The presentation begins with a thorough overview of current factors driving health system innovation including the State Innovation Model and more. That landscape will set the stage for a discussion of four key transformative trends which will have an expanding impact on providers, patients and organizations as innovation efforts progress. The presentation concluded by linking the above key trends to preparatory steps that can be taken today to position for success in a transformed system. This session evaluated the big picture impact oral health can make within the overall health care system. As public health challenges grow more multifaceted and per capita costs persistently increase, the desire for comprehensive and integrated care continues to intensify. The health care system will see ongoing pressure to improve performance and accountability, as well as reduce health care disparities and costs. Traditionally, dentistry has been insulated from changes in the health care markets and evolved within a completely separate system of delivery. However, the ability for the dental profession to remain a casual acquaintance to the health care system is rapidly changing. Dentistry will have to become more involved as empirical evidence of dental-medicine relationships mount and a new funding system that prioritizes outcomes over fee-for-service is implemented. This one hour webinar provides an overview of ovarian cancer symptoms, diagnostic considerations, referral recommendations, and resources available to primary care providers. Additionally this educational session highlights the journey of an ovarian cancer survivor from navigating through primary care services to specialist services. An overview of colorectal cancer and assessment on how HealthCenters can work collaboratively to increase colorectal cancer screening rates. Second part in a webinar series discussing strategies for increasing and expanding colorectal cancer screening rates at Health Centers. As health systems look to integrate with the community in order to change population health trajectories one person at a time, the concept of a Hub is emerging as a way to coordinate resources and address the social determinants of health. Participants will learn how Health Centers may find themselves perfectly positioned to be major partners and leaders in this transformation. Coleman Associates share hard-won lessons learned from Rapid DPIs that every manager, clinician, or team leader can begin applying immediately. They also share performance outcomes of Rapid DPI clinics to demonstrate the huge potential for improvement at almost every Health Center. Knowledge of the Culturally and Linguistically Appropriate Service Standards in Health and Health Care (CLAS) is intended to advance health equity, improve quality, and help eliminate health care disparities by providing a roadmap for health and health care organizations to implement culturally and linguistically appropriate services. This interactive, evidence-based training teaches health care providers how to implement opioid-related recommendations from the National Action Plan for Adverse Drug Event Prevention. AHRQ-funded researchers have developed two tools to measure an aspect of health literacy—individuals' reading comprehension in a medical context. These tools can be used for research, clinical, or program planning purposes. This website is a resource for School-Based Health Centers. There are over 80 School-Based/School-Linked Health Centers and programs in Michigan delivering comprehensive primary, preventive, and early intervention services to children of all grade levels in schools across the state every year. School-Based Health Centers are focused on identifying, preventing, and treating medical and behavioral health problems that can interfere with a student's learning process and focus on building a healthy foundation for youth. An immunization program is vitally important in a Health Center or other health care provider's office. For the most up-to-date information on required and recommended vaccines, proper storage and handling, Michigan VIS forms, and a host of other details, please visit MDCH's Immunizations webpage. For additional assistance, please contact Lynda Meade, MPCA's Director of Clinical Services, at lmeade@mpca.net. Michigan Department of Community Health (MDCH) periodically releases updated county immunization report cards with the most recent data available. The reports cards demonstrate select immunization measures for all counties throughout the state, as well as the City of Detroit. This website is a resource for measuring quality and improving health care. A global community of people passionate about quality, who use the tools and their ideas and expertise to make our world work better. The Institute for Healthcare Improvement (IHI) is an independent not-for-profit organization based in Cambridge, Massachusetts, and is a leading innovator in health and health care improvement worldwide. At their core, they believe everyone should get the best care and health possible. An organization championing actions across the state through ongoing collaboration, communication, and consensus building to the nursing workforce. An organization that enhances professional and personal growth for clinicians to become effective leaders for their Health Centers and promoters of quality, community-based primary health care. A coalition comprised of primary care clinicians, oral health clinicians, dental benefit providers, advocacy and provider organizations, state and local government officials, and consumers working together to improve oral health in Michigan.